Education and Training in a Family Psychology Program with an emphasis on treating individuals of all ages within the context of important social systems such as the family. Personal Treatment Planning to address your unique goals and overcome your unique challenges. Fostering an Environment of Hope through the use of empathy, compassion, and, at times humor, to help each person arrive as they are and leave one step closer to where they want to be. Evie earned a Bachelor’s degree in Psychology as well as a Master of Arts in Family Psychology at Hardin-Simmons University. She is a Licensed Professional Counselor and has worked in community mental health, hospitals, and was previously associated with a large church-based counseling practice. Specialties include couples in crisis, couples healing from infidelity, premarital counseling and marital problems, divorce recovery, healing from sexual abuse, adolescent development/changes, women’s issues, blended family issues, grief, and counseling for those suffering from addiction, depression, bipolar disorder and anxiety disorders. Evie is a member of the American Association of Christian Counselors. Lance earned his Bachelor’s degree in Psychology from Hardin-Simmons University. He earned a Master of Arts in Family Psychology at Hardin-Simmons University as well and is a Licensed Professional Counselor. He has worked in the mental health industry for over thirteen years and is certified in Group Critical Incident Crisis Management. Specialties include marriage counseling, premarital and re-marital counseling, blended family issues, men’s issues, developmental issues for children and adolescents (e.g., ADHD and other challenges), and counseling for those suffering from Post Traumatic Stress Disorder, addiction, depression and other mood disorders, anxiety and panic disorders. Lance is a member of the American Association of Christian Counselors. Corben received his master’s degree in Counseling from Texas A&M University-Commerce, where he is presently pursuing a doctorate in Counselor Education. He also completed a master’s in Secondary Education from TAMU-Commerce and a master’s in Christian Education from Dallas Theological Seminary. He is a licensed professional counselor and a certified school counselor. Corben has worked in public education as a school counselor and a special education teacher. He has worked with children and adolescents in both the elementary and secondary levels. Specialties include child and adolescent developmental issues, school problems, depression, crisis intervention, self-injurious behavior and social anxiety. Corben and his wife Marcy have been married since 1992 and have two children. 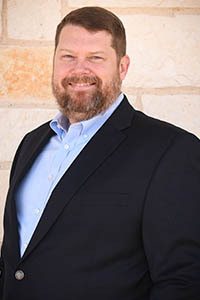 Travis earned his Bachelor’s degree in Psychology from the University of North Texas and his Master of Science in Counseling from Southern Methodist University. His experience includes working in community mental health and child protective services shelter settings. 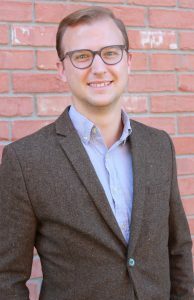 Travis is a Licensed Professional Counselor Intern and is supervised by Eve Gardner, LPC-S. Travis accepts all clients ages 8 and up and specializes in helping with anxiety, depression, parenting children and adolescents, self-image, anger management, abuse recovery, grief, and marital problems. He also specializes in childhood and adolescent issues including, school issues, divorce, bullying, family issues, trauma and abuse recovery, anxiety, depression, and behavioral problems. Travis is a lifelong Texan and a proud citizen of Dallas. In his free time he enjoys being outdoors, cheering for the local Dallas sports teams, the performing arts, cooking, and spending time with his friends and family. Travis Kern is supervised by Eve Gardner, MA LPC-S.
Monica received her Master of Science in Counseling from Southern Methodist University. 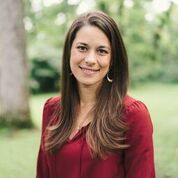 She joined Family Restoration Counseling Services in early 2018 and is supervised by Eve Gardner, LPC S. Monica works with children, adolescents, individuals, and couples and brings a strength-based approach to her practice. She serves clients experiencing anxiety, depression, or reproductive grief and specializes in cross-cultural challenges that may arise from familial migration, cultural differentiation amongst generations, and assimilation to US culture. Monica is a trainer for Life Perspectives, running workshops aimed to educate mental health providers on reproductive loss. She has also dedicated time to shelters and counseling services for victims of domestic violence. Monica was born and raised in Mexico City; she is bilingual and bicultural. Her therapeutic activities are running, cooking, and spending time with family. Mónica se gradúo de su Master of Science in Counseling de SMU. 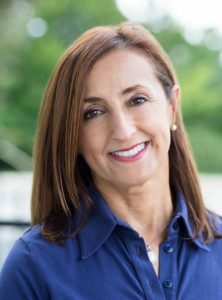 Empezó a trabajar en Family Restoration Counseling Services desde principios del 2018, esta supervisada por Evie Gardner, LPC S. Mónica recibe clientes de todas las edades y orienta su teoría de terapia en las fortalezas del individuo o la pareja. Ella se enfoca en clientes que sufren de ansiedad, depresión, duelo reproductivo, y tiene especial interés en las diferencias y situaciones que se dan en las familias que intergeneracionalmente tienen problemas de ajustes y de asimilación. Mónica es parte del equipo de entrenadores para la organización Life Perspectives. Ella organiza workshops orientados a entrenar profesionales de la salud mental en cuanto al tema de duelo ocasionado por perdidas reproductivas. Ella también ha dedicado tiempo ofreciendo terapia a víctimas de violencia doméstica. Mónica es originaria de la Ciudad de México, es bilingüe y bicultural. Las actividades que son terapéuticas para ella son correr, cocinar y pasar tiempo con su familia. Heather earned a Bachelor’s Degree in Education and Personal Development at the Anahuac University inMexico. She has a Master of Science degree in Clinical Psychology from the Institute for the Psychological Sciences at Divine Mercy University. She is a Licensed Professional Counselor and has worked with adults, children, adolescents, and couples. She has experience working with a diverse population and is fluent in Spanish. Her specialties include helping with healing from trauma, anxiety, depression, self-injurious behavior, grief, and relationship issues. She loves being immersed in beauty, whether in the outdoors – especially the seashore – at an art museum, or at a musical performance. Heather es licenciada en Educación y Desarrollo por laUniversidad Anáhuac de México. Tiene una Maestría en Ciencias en Psicología Clínica por elInstitute for the Psychological Sciences de Divine Mercy University. Tiene licencia de consejera profesional y ha trabajado con adultos, niños, adolescentes y parejas. Tiene experiencia con una amplia diversidad de clientes y habla fluidamente el español, habiendo vivido 7 años en México. Se especializa en casos de trauma, ansiedad, depresión, comportamiento auto-agresivo, duelo y problemas de pareja. A Heather le fascina encontrar la belleza por doquier: la naturaleza- sobre todo el mar-, en una galería del arte, o un musical. 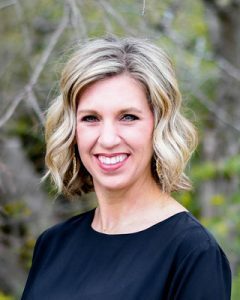 Erin earned her Bachelor’s degree in Art and Bible as well as a Master of Marriage and Family Therapy from Abilene Christian University. 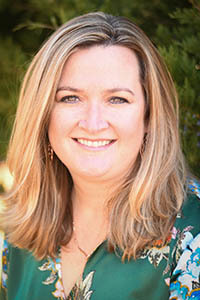 She is a Licensed Marriage and Family Therapist- Associate and is supervised by Jennifer Smothermon, LMFT-S, LPC-S, RPT. Through an authentic therapeutic relationship as well as a systemic perspective, Erin walks alongside clients, helping them to find healing from relational and individual concerns. Specialties include, marriage counseling, pre-martial counseling, family therapy, anxiety, depression, grief, and life transitions. Erin is a member of the American Association of Marriage and Family Therapists as well as the International Centre for Excellence in Emotionally Focused Therapy. Erin and her husband, Jason have two children and live in Kaufman, TX. In the years they have been married they have lived in Abilene, Vernon, and Kaufman, TX, Chattanooga, TN, and Zambia, South Central Africa. Erin enjoys time with family and friends, riding horses, and photography. Katheryn earned her Bachelors degree in Social Work as well as a Master of Social Work at Texas A&M University-Commerce. She is a licensed by the Texas State Board of Social Worker Examiners as a Licensed Clinical Social Worker and a Board Approved Supervisor. Katheryn has been a practicing clinician since 2006, working in numerous settings serving children and families, most recently serving as clinical director for a Children’s Advocacy Center. Katheryn is certified in Trauma Focused-Cognitive Behavioral Therapy and uses a variety of other treatment modalities to treat children and adolescents, including child centered play therapy. Specialties include: helping children heal following the trauma of sexual and physical abuse and neglect, supporting children through transitions of life (including divorce of parents), blended family issues, anxiety, depression, and Attention Deficit Hyperactivity Disorder. Katheryn is a member of the National Association of Social Workers. 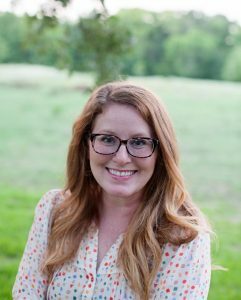 She was recognized in 2017 by the Kaufman County District Attorneys office for outstanding service to Crime Victims in Kaufman county, as well as being named a 2017 Alumni Ambassador by Texas A&M University-Commerce, where she also serves as a clinical instructor for both undergraduate and graduate programs in the School of Social Work. Katheryn believes in creating an environment which serves as a ‘soft place to land’ for children and a place which parents and families can find nonjudgmental support and healing through the difficulties of life. Katheryn enjoys living in Kaufman county with her husband and three children.